Great News for all your cricket lovers with Windows phones! 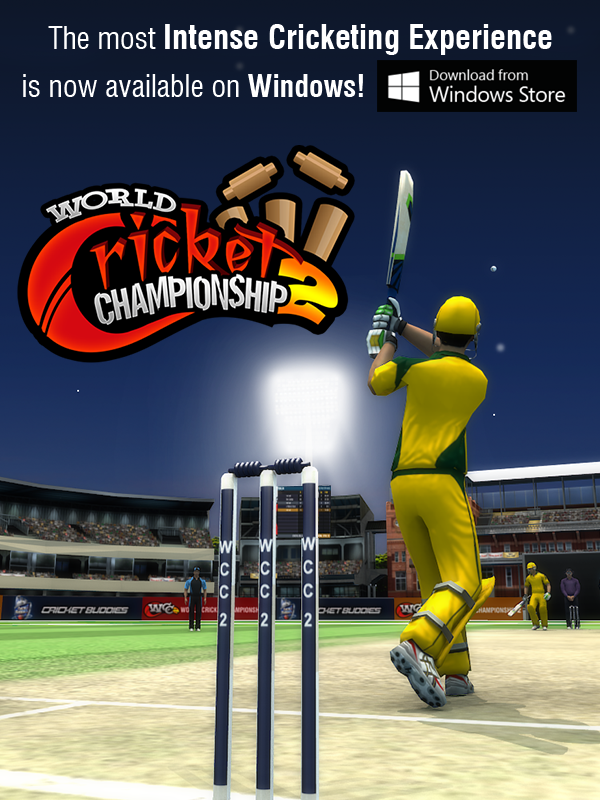 World Cricket Championship 2 is now live on Windows! We promise a trill a minute, power packed cricket funtertainment to keep you on your toes! *Minimum Requirements for the game:1 GB RAM, Windows Phone 8.0 and above.